Getting people to open up to a complete stranger can be tough. But, I'm not all that scary. I'm pretty laid back. I like to get my hands dirty. I like to sleep a lot... I can be messy, but I really like organizing and making things really clean. It's keeping them that way that's hard... But I don't want to give them all away! 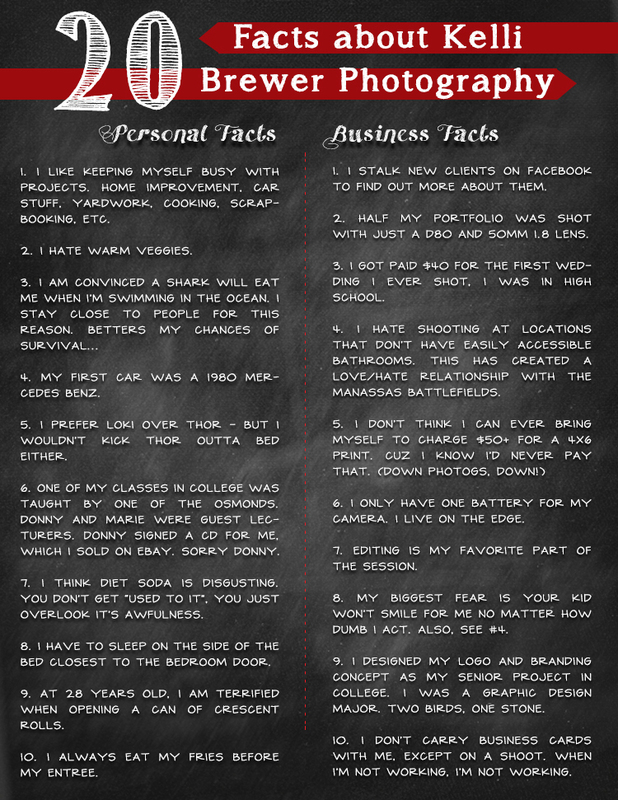 Find 20 random facts about me (both personal and business) below!